2017 Kia Rio LX Clear White Beige Cloth. 27/36 City/Highway MPG Awards: * 2017 KBB.com 10 Most Awarded Brands Proudly Serving: Shelby. Gastonia, Charlotte, Asheville, Hickory, Stateville, Mathews, Rock Hill, Spartanburg, Lincolnton, and all of greater North Carolina and South Carolina. All prices are plus tax, tags and $699 Dealer Admin Fee. With Approved Credit. Not all buyers will qualify for all factory incentives, rebates and discounts. Dealer is not responsible for any errors stated on this vehicle's condition and/or price. 2017 Kia Rio LX Aurora Black Beige Cloth. 27/36 City/Highway MPG Awards: * 2017 KBB.com 10 Most Awarded Brands Proudly Serving: Shelby. Gastonia, Charlotte, Asheville, Hickory, Stateville, Mathews, Rock Hill, Spartanburg, Lincolnton, and all of greater North Carolina and South Carolina. All prices are plus tax, tags and $699 Dealer Admin Fee. With Approved Credit. Not all buyers will qualify for all factory incentives, rebates and discounts. Dealer is not responsible for any errors stated on this vehicle's condition and/or price. 2017 Kia Rio LX Bright Silver Black Cloth. 27/36 City/Highway MPG Awards: * 2017 KBB.com 10 Most Awarded Brands Proudly Serving: Shelby. Gastonia, Charlotte, Asheville, Hickory, Stateville, Mathews, Rock Hill, Spartanburg, Lincolnton, and all of greater North Carolina and South Carolina. All prices are plus tax, tags and $699 Dealer Admin Fee. With Approved Credit. Not all buyers will qualify for all factory incentives, rebates and discounts. Dealer is not responsible for any errors stated on this vehicle's condition and/or price. 2017 Kia Forte LX Clear White 29/38 City/Highway MPG Awards: * 2017 KBB.com 10 Most Awarded Brands Proudly Serving: Shelby. Gastonia, Charlotte, Asheville, Hickory, Stateville, Mathews, Rock Hill, Spartanburg, Lincolnton, and all of greater North Carolina and South Carolina. All prices are plus tax, tags and $699 Dealer Admin Fee. With Approved Credit. Not all buyers will qualify for all factory incentives, rebates and discounts. Dealer is not responsible for any errors stated on this vehicle's condition and/or price. 2017 Kia Forte LX Aurora Black 29/38 City/Highway MPG Awards: * 2017 KBB.com 10 Most Awarded Brands Proudly Serving: Shelby. Gastonia, Charlotte, Asheville, Hickory, Stateville, Mathews, Rock Hill, Spartanburg, Lincolnton, and all of greater North Carolina and South Carolina. All prices are plus tax, tags and $699 Dealer Admin Fee. With Approved Credit. Not all buyers will qualify for all factory incentives, rebates and discounts. Dealer is not responsible for any errors stated on this vehicle's condition and/or price. 2017 Kia Forte LX Silky Silver 29/38 City/Highway MPG Awards: * 2017 KBB.com 10 Most Awarded Brands Proudly Serving: Shelby. Gastonia, Charlotte, Asheville, Hickory, Stateville, Mathews, Rock Hill, Spartanburg, Lincolnton, and all of greater North Carolina and South Carolina. All prices are plus tax, tags and $699 Dealer Admin Fee. With Approved Credit. Not all buyers will qualify for all factory incentives, rebates and discounts. Dealer is not responsible for any errors stated on this vehicle's condition and/or price. 2017 Kia Forte LX Garnet Red 29/38 City/Highway MPG Awards: * 2017 KBB.com 10 Most Awarded Brands Proudly Serving: Shelby. Gastonia, Charlotte, Asheville, Hickory, Stateville, Mathews, Rock Hill, Spartanburg, Lincolnton, and all of greater North Carolina and South Carolina. All prices are plus tax, tags and $699 Dealer Admin Fee. With Approved Credit. Not all buyers will qualify for all factory incentives, rebates and discounts. Dealer is not responsible for any errors stated on this vehicle's condition and/or price. 2018 Kia Rio LX Clear White Black Cloth. 28/37 City/Highway MPG Proudly Serving: Shelby. Gastonia, Charlotte, Asheville, Hickory, Stateville, Mathews, Rock Hill, Spartanburg, Lincolnton, and all of greater North Carolina and South Carolina. All prices are plus tax, tags and $699 Dealer Admin Fee. With Approved Credit. Not all buyers will qualify for all factory incentives, rebates and discounts. Dealer is not responsible for any errors stated on this vehicle's condition and/or price. 2018 Kia Forte LX Silky Silver 29/37 City/Highway MPG Proudly Serving: Shelby. Gastonia, Charlotte, Asheville, Hickory, Stateville, Mathews, Rock Hill, Spartanburg, Lincolnton, and all of greater North Carolina and South Carolina. All prices are plus tax, tags and $699 Dealer Admin Fee. With Approved Credit. Not all buyers will qualify for all factory incentives, rebates and discounts. Dealer is not responsible for any errors stated on this vehicle's condition and/or price. 2018 Kia Forte LX Clear White 25/34 City/Highway MPG Proudly Serving: Shelby. Gastonia, Charlotte, Asheville, Hickory, Stateville, Mathews, Rock Hill, Spartanburg, Lincolnton, and all of greater North Carolina and South Carolina. All prices are plus tax, tags and $699 Dealer Admin Fee. With Approved Credit. Not all buyers will qualify for all factory incentives, rebates and discounts. Dealer is not responsible for any errors stated on this vehicle's condition and/or price. 2019 Kia Forte FE Grey 27/37 City/Highway MPG Proudly Serving: Shelby. Gastonia, Charlotte, Asheville, Hickory, Stateville, Mathews, Rock Hill, Spartanburg, Lincolnton, and all of greater North Carolina and South Carolina. All prices are plus tax, tags and $699 Dealer Admin Fee. With Approved Credit. Not all buyers will qualify for all factory incentives, rebates and discounts. Dealer is not responsible for any errors stated on this vehicle's condition and/or price. 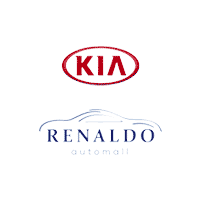 Renaldo Kia in Shelby, NC, near Gastonia, NC and Gaffney, SC, is your one stop shop for purchasing a new Kia. Check out our huge inventory for great prices! We have a huge lineup ready for you to drive home today, and you can find everything online from the comfort of your own home. Take a look through our variety of options and then give us a call or come visit to take a test drive. We’ll send you home in the new Kia you’ve been dreaming of!